It came as a rude shock to Nigerians when Charly Boy’s daughter, Dewy Oputa, revealed on social media that she is a lesbian. She made this known on Instagram during the week by sharing photos and a video of herself and her girlfriend. While speaking with Sunday Scoop, Dewy said she shared the post because she got tired of hiding and decided it was time to live in her truth. She said, “My mission for creating a lesbian, gay, bisexual, transgender, queer platform is to provide a safe place for youths in the African community. I strive to create an accepting and welcoming community where everyone is free to express themselves and be loved for who they are. Dewy, however, admitted that it was not easy for her parents when she revealed her sexuality to them. “I can’t pinpoint the exact age I found out about my sexuality, but I was much younger. When I came out to my parents, it took them a while to adjust but my happiness comes first. I don’t feel bad about the negative comments my sexuality post has generated. I knew Nigerians would always have negative things to say and I was mentally prepared for it. I’m not here to sway anybody’s point of view; I’m here to bring awareness,” she said. 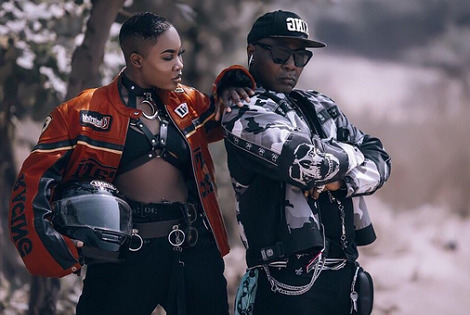 Meanwhile, Charly Boy has come out to support his daughter, Dewy Oputa, after she shared a cozy photo of herself and her lesbian partner on social media. » "Nigeria Should NOT Accept Help From Israel" -- Chris Okotie Writes On Boko Haram, Chibok girls & Int'l Assistance.